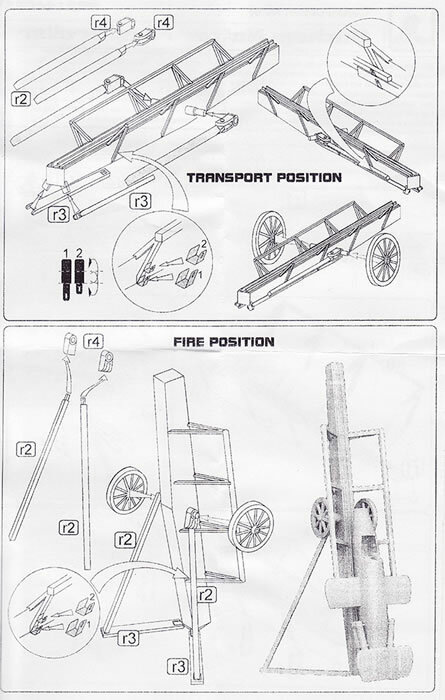 Brengun offer some small scale unusual subjects, very handy to use in a diorama situation. Brengun continue to give us options in the small and very small scales with some very crisp moulded resin pieces. 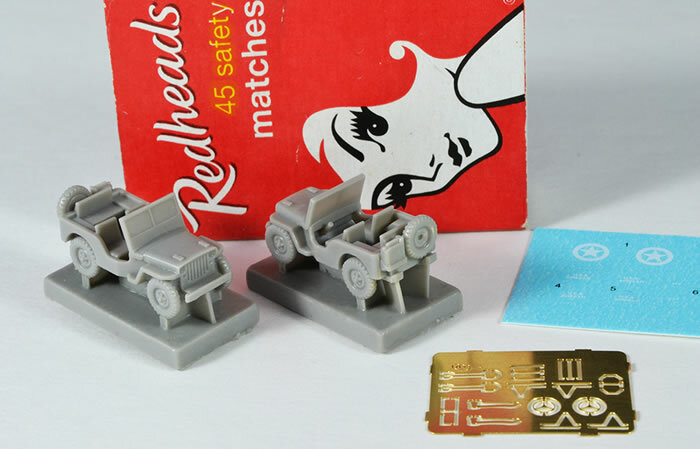 Both of these set contain 2 single piece resin vehicles, a small photo-etched sheet and a small decal offering. I will say, and please this is not a normal term used, but they are cute! I’ve added a matchbox to enable you to get the idea of how small these vehicles are. The moulding is crisp with little clean up needed before getting on to the finishing. 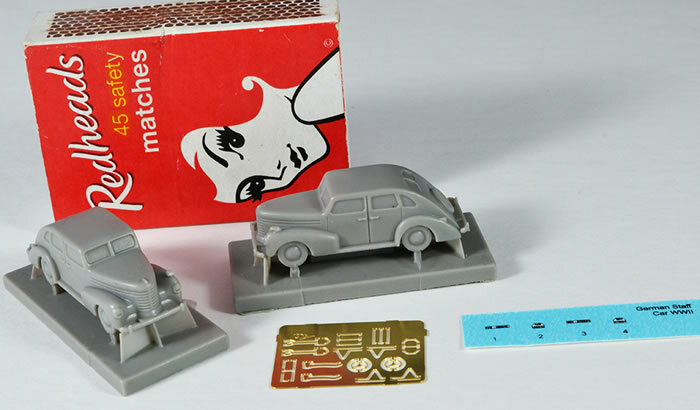 The photo-etch sheet is identical for both sets and in the case of the German Staff Car, no etch is used at all. Etch for the Jeep consists of the steering wheel and tools to be mounted on the Jeep. The decal sets provide the registration plates, and any other markings required such as the stars on the Jeep. When painted and finished, these small vehicles would add to the visual presentation of your US and German 1/144 aircraft. For the avid 1/144 modeller, these are recommended. The Bachem Natter launching ramp/trailer was just at the building stage when the war ended. There is no proof that they were ever used. 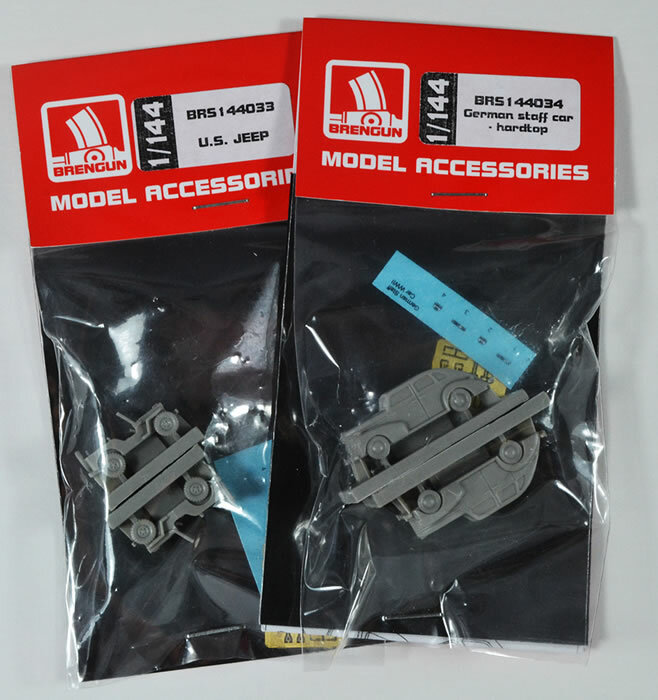 This set is designed to accompany the Brengun BRP144001 Bachem Ba-349A NATTER . This set contain 11 grey resin parts and 17 photo-etched parts on a small sheet. 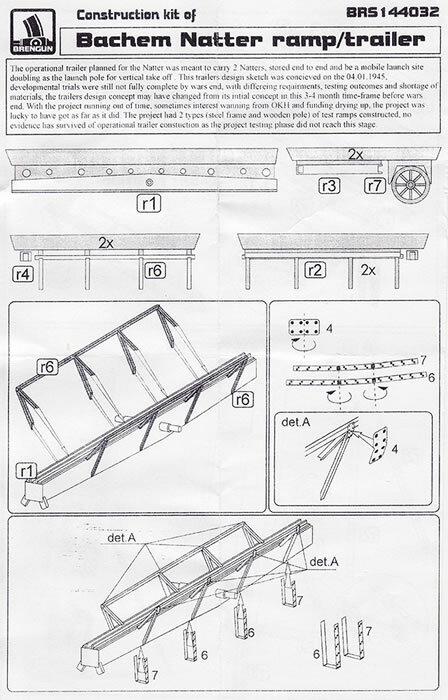 There is flash on some of the larger parts that will need careful cleaning up before assembling. The etch parts are cover plates between frames and the like. No painting callouts on the instructions but there is a small poor quality colour photo on the box top as a painting guide. This would add an interesting aspect for a small scale diorama of a Natter in the field. The RS-82 unguided rockets came into service for Russian air forces in 1937. During WWII, all Russian aircraft were capable of mounting and using the RS-82 rockets. The unfortunate fact is however, that these rockets had an accuracy factor of about 3%, meaning for every 100 fired at armoured targets, 2 actually hit their targets. This set contains 8 RS-82 rockets on their mounts. They are finely cast with some thin flash in the hollow sections that will need careful cleaning up. 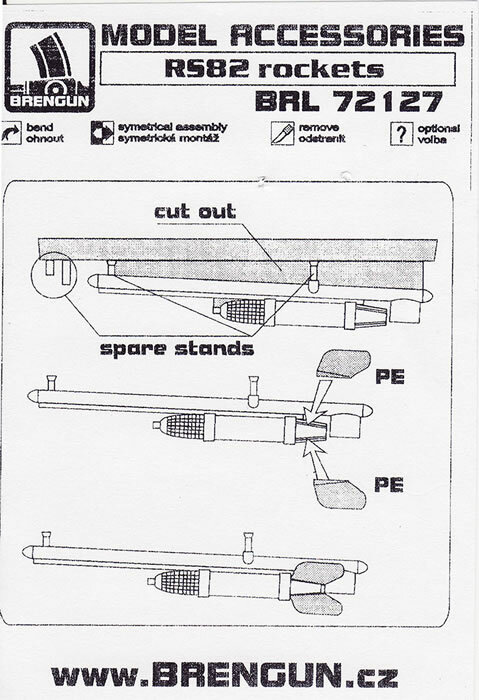 A photo-etch sheet with 9 sets of fins is supplied. Well done to Brengun for supplying extras of these small parts that the average modeller may find fly off during the assembly stage. There are no painting call outs for this set, but there are numerous reference photos available with a Google search to guide your painting efforts. 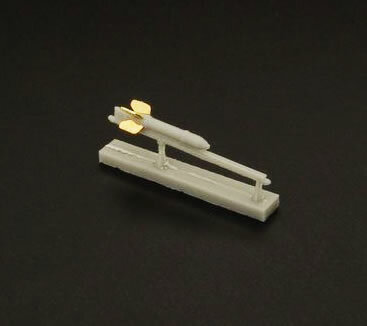 These very neat small rockets would make a useful addition to any Soviet WWII aircraft builder in 1/72nd scale.